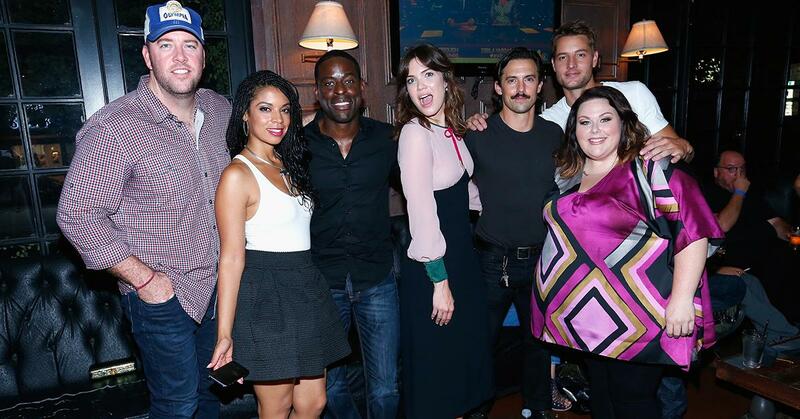 There aren't many scripted shows on network television that audiences flock to week after week, but This Is Us is definitely one of them. 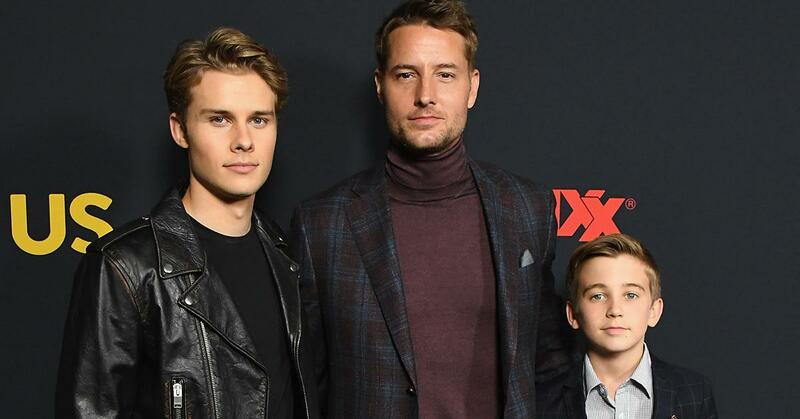 The NBC drama featuring the Pearson family — more specifically The Big Three, Kevin, Kate, and Randall — as they deal with the present-day struggles stemming from their dad's untimely death, makes viewers ugly-cry at least once every episode and the series just getting more and more popular. However, what if we told you that the This Is Us you know and love could have been radically different? 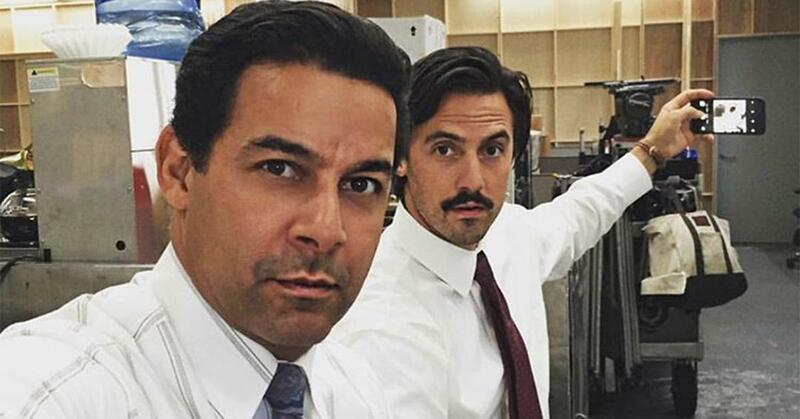 Like, did you know that Jack Pearson was almost played by a TV actor, and not Milo Ventimiglia? Or that one of the child stars on the series escaped kidnappers when he was just 8 years old? Luckily, everything worked out in the end and the show came together perfectly. Keep scrolling to see all the ways This Is Us almost didn't happen. 1. Lonnie Chavis was almost kidnapped. In 2016, two would-be kidnappers attempted to abduct little Randall while he was taking out the trash at his Long Beach home. However, Lonnie, who was 8 years old at the time, was able to escape. "They pushed me on the ground, and the one that pushed me on the ground said, 'Stay down,' and the other one said, 'Get up,'" Lonnie told ABC7 at the time. 2. 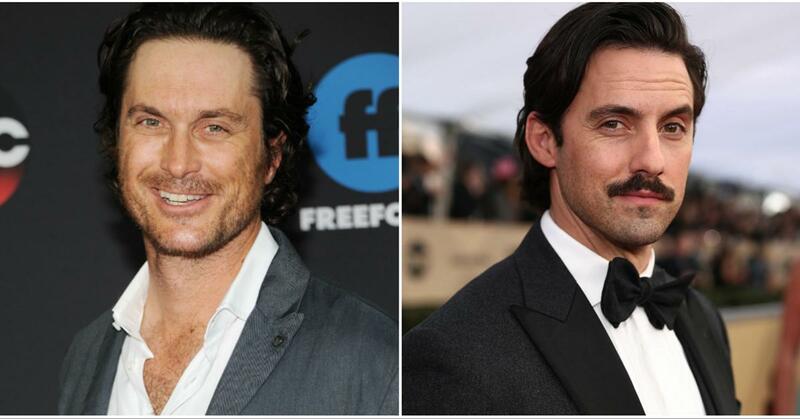 Oliver Hudson was *this close* to being cast as Jack Pearson. 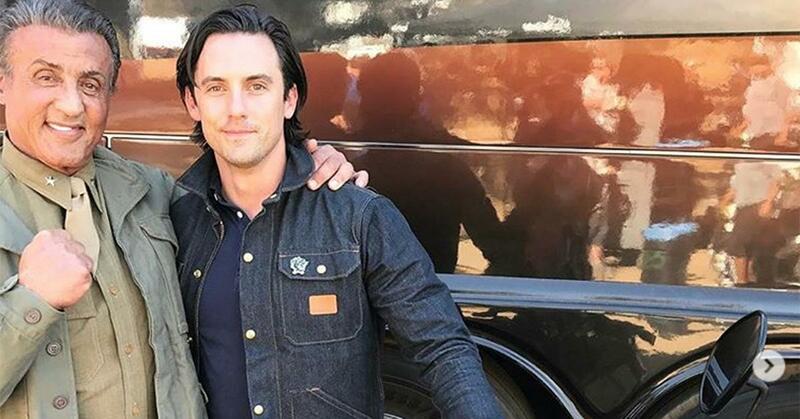 This Is Us fans probably can't imagine Jack Pearson being played by anyone other than Milo Ventimiglia, but Oliver Hudson recently revealed he basically turned down the role to go fishing. "I went in and read, and it went very well and they wanted me to come and do a chemistry read with Mandy Moore, but this will tell you how much I love to fish," Kate Hudson's brother said on The Ladygang Podcast. "I had a 10-day fishing trip planned. It's my life. Fishing is a big part of my life and it was this 10-day fishing trip and my agent says, 'We gotta test, and they really like you, and this, this and that.' And I said, 'Ooh. I'm supposed to go on a fishing trip'… And he's like, 'OK, yeah…so? I mean this is a big thing.' And I said, 'You know what? I'm going to do my fishing trip, so...'"
Now, Oliver is on Splitting Up Together and Milo is Papa Pearson. Everything is how it should be. 3. 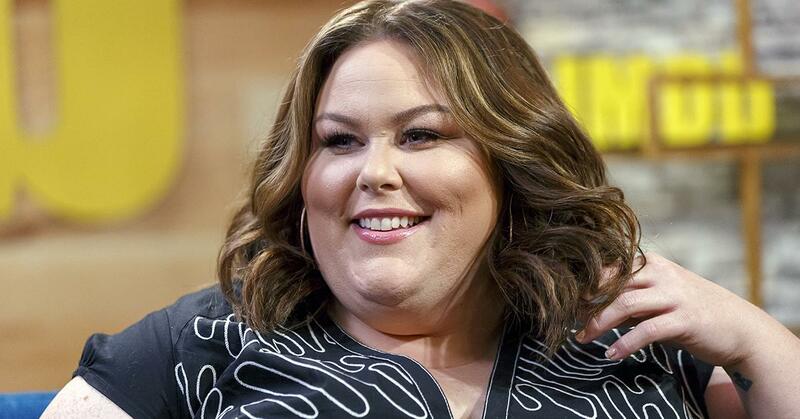 Chrissy Metz almost quit acting before her 'This Is Us' audition. Before being cast as Kate on This Is Us, Chrissy was ready to say goodbye to Hollywood. "I am so grateful that I had such an amazing support system, but when I booked This Is Us, I had 81 cents in my bank account. 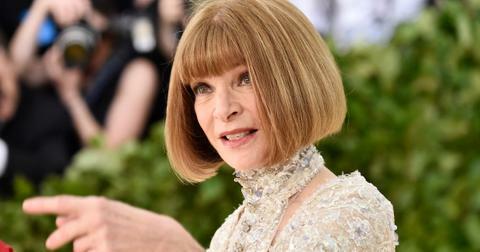 I could cry right now just thinking about it," she told Glamour of her big break. "Getting the role of Kate has changed everything. It’s crazy to go from not having enough money to buy food to getting free dinners. Why is it that when you really need something, you don’t have it? And when you can afford it, you have a surplus of it?" 4. Mandy Moore was ready to quit acting before 'This Is Us,' too. It's hard to imagine Mandy Moore — who starred in iconic movies such as A Walk to Remember, Princess Diaries, and Saved! — was even thinking about quitting acting, but she was. Until This Is Us came along. "I had down three [pilots] in a row that had been made but ultimately not chosen to go on the air, so I was feeling pretty down about myself," she said on NBC's Sunday Sitdown. "I remember my team, we were like, 'Let's not throw our name in the ring anymore for those types of projects,' and then the script for This Is Us came along and I remember receiving it, going, 'Isn't this what we just talked about... like what we weren't going to do? I don't want to be absolutely devastated again if I somehow am lucky enough to be a part of this and then it doesn't move forward.' And luckily, that wasn't the case." 5. The Pearsons were initially called the Peasings. Um, the Peasings? Yeah, turns out Pearson wasn't the first choice for the family's last name. They even had to dub over Ron Cephas Jones' dialogue in the pilot episode in post-production. 6. Jon Huertas was in the Air Force before he turned to acting. Before starring as Jack Pearson's BFF Miguel, Jon Huertas was actually in the Air Force and served in Operation Desert Storm and Operation Just Cause as an aircraft nuclear/conventional weapon specialist. Luckily, he had a career shift in the early '90s, and appeared in TV shows such as Moesha and Sabrina the Teenage Witch before nabbing his This Is Us role. 7. Lyric Ross luckily aged out of her 'The Chi' role. Lyric Ross was originally cast in the Showtime series The Chi — but due to re-shootings and recasting, she aged out of her role. Luckily, this opened up her schedule to play Randall (Sterling K. Brown) and Beth's (Susan Kelechi Watson) foster child, Deja. 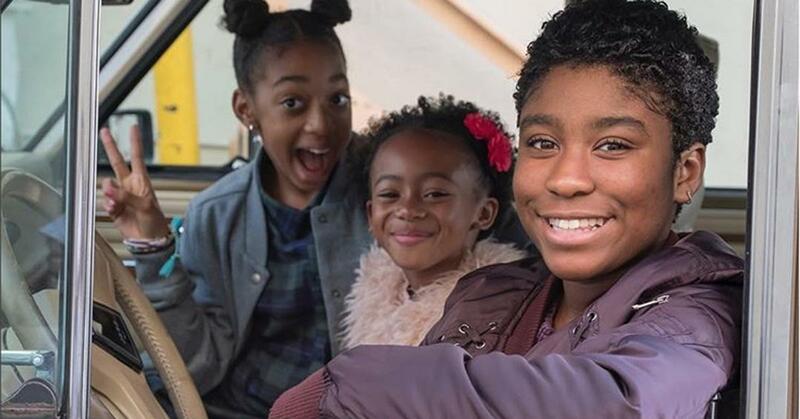 "There was just something special [about Lyric], and you really saw it when you watched the tape back, that it really should be Lyric," This Is Us casting director Tiffany Little Canfield said. "I believe Sterling and Susan really felt that in the room too in working with her, because they had the opportunity to actually read with her." 8. Logan Shroyer almost skipped his audition. Logan Shroyer plays the teenage version of Kevin Pearson, and while he is the perfect fit for the high school jock, he almost skipped his audition completely. "This is actually a funny story. I auditioned when I had a bunch of stuff going on," the 18-year-old told People magazine. "It was Halloween night, if not the day after, that I got the call about the audition and I almost didn’t go. It was super last minute... I had a dentist appointment that I ended up canceling because I was like, 'I have to do this.'" As for what the casting director, Tiffany Little Canfield, saw in Logan: "Logan just came in and felt like a little star. He felt like that football player; he felt like he just had that golden boy persona that I think you need to have with Kevin," she explained to The Hollywood Reporter. 9. 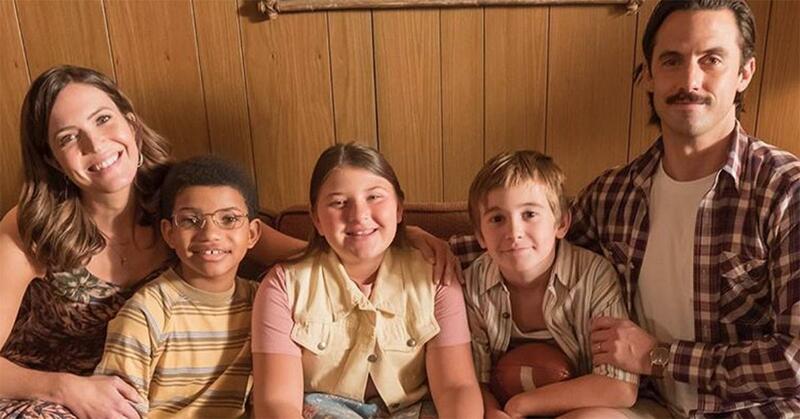 'This Is Us' was originally titled '36' — and creator Dan Fogelman wanted it to be a movie. This Is Us was almost not called This Is Us. Creator Dan Fogelman revealed that not only did he want to name the show 36, but he had originally planned for it to be a feature-length film about octuplets. "It was originally called 36, which is the age they're all turning at the beginning," he explained to Glamour magazine. "I didn't like it. I had done a series of movies where I had never titled them and no one can agree on the title. I threw 36 on it, and then I never liked it. Nobody ever liked it. I came up with This Is Us, I think, when I was in editorial. I decided I liked how it looked at the beginning [of the show], and I put it in there. But, there was a lot of debate over what the title of the show was gonna be." As for his big movie plans, "The reason I was struggling with [the film] wasn't the plot; it was about these characters and how I didn't want to 'beginning-middle-and-end' them," Dan added. "I wanted to do this continuous story — which felt very much like the theme of the show." 10. Sylvester Stallone's 'This Is Us' cameo took some convincing. NBC knew they wanted a big Hollywood star to play Kevin's movie idol — and they had Rocky himself in mind. However, producers had no idea how to convince Sylvester Stallone to appear on the NBC drama. 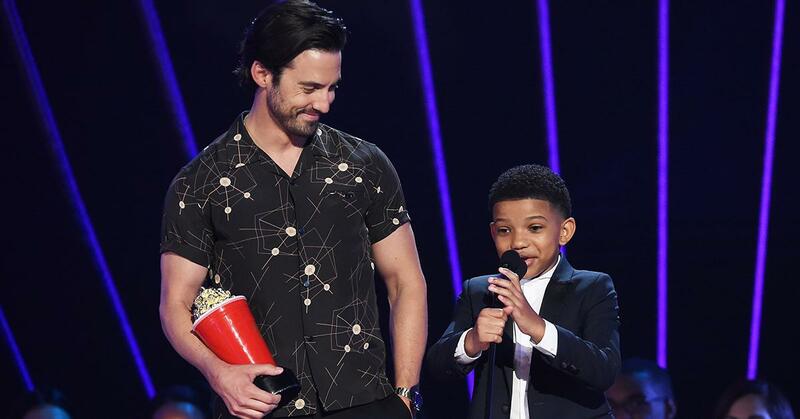 Luckily, Milo Ventimiglia — who played his son Robert in 2006 Rocky Balboa, had a direct line to the action star. "There’s a movie star, a movie idol, that Justin [Hartley’s] character is going to be working with, and when I’d heard what the episode was going to be and everything, they just kind of looked at me and they said, ‘Yeah, someone liked Sly,'" Ventimiglia told Moviefone. "And I’m like, ‘Cool.’ And they go, ‘Do you think he’ll do it?’ And I went, ’I don’t know.’ And they just kept looking at me, and I’m like, ‘Oh—you want me to call him?'" 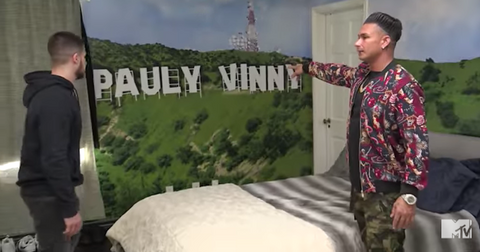 He continued, "I basically called with, ‘Here’s something that might be fun, and I’m sorry you and I aren’t going to get at lot of screen time together, but I want you to know how much this impacts my character.’ Because if you imagine that Sylvester Stallone is Kevin’s movie idol, it’s got to come from somewhere. Maybe that was his dad’s movie idol. Maybe his dad goes through some pretty tough times and always goes back to that underdog story of the first Rocky... I picked the phone up and called him, and he was very engaged and receptive and excited and the emails went back and forth. He still remains one of the funniest, most terribly intelligent men that I’ve ever known." The rest is TV history. 11. Milo Ventimiglia surprised Mandy Moore by sticking around for his death scene. 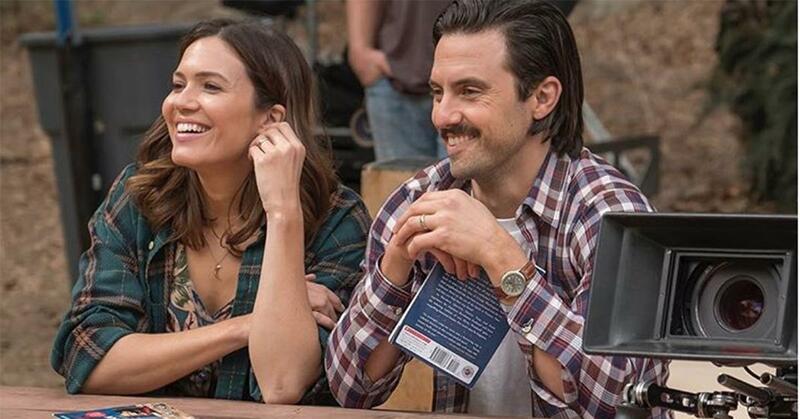 This Is Us viewers waited two seasons for Jack Pearson's death — and the scene had everyone ugly-crying. However, Mandy Moore revealed that Milo Ventimiglia surprised her by sticking around to film — making the moment even more authentic. "We had shot all of our other scenes there at the hospital together, but no one had told me he had stuck around, so I had no idea," she said on the This Is Us after-show. "And apparently that was the first take that they used, when I see him, when I see his body. And I didn’t know he was going to be there. 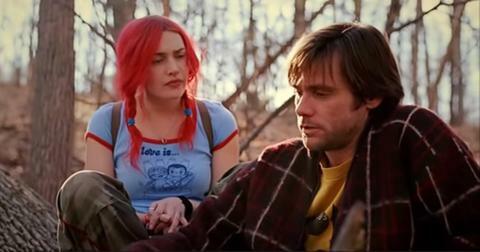 So it was all the more jarring and upsetting and just indescribably sad." So, we have Milo to thank for that heartbreaking scene. 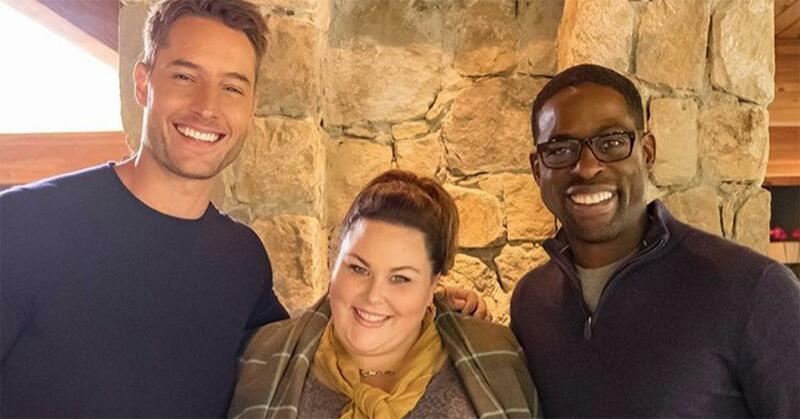 Watch This Is Us Tuesdays at 9 p.m. EST on NBC — just don't forget your tissues.